Especially if one reads the ones that last through time, there is really an extraordinary amount to learn. 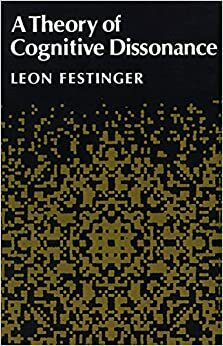 Koffka’s Principles of Gestalt Psychology essentially is an outline of all the work that is actually being done now, except that it was done in the 1930s. The allure of the psychology book is not only in the text its self, but in the people who might have owned the book before you. For instance, my copies of the books below has been owned by several very good psychologists whom I respect greatly (and whose signature and notes on the book greatly enhance both its informativeness and I believe its market value!). 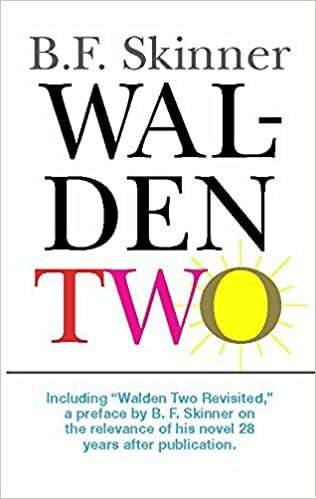 Walden 2 – B. F. Skinner. This book essentially covers Skinner’s ideas about psychology and what it could do for humanity, creating a more efficient and enjoyable life. Above all this, it is written within the context of a story and is thus accessible for anyone. In my opinion it could be given to any one and should be a required reading for basically every Psychology major. The collected writings of Friedrich Nietzsche – F. W. Nietzsche. This is a man who will be talked about in 1000 or 2000 years. He questions everything, and does a great job doing it. He gets a bad rap, but this is one of the most original and thoughtful men I have ever read. Check out my favorite page of Nietzsche. Crime and Punishment – F. M. Dostoyevsky. Anything by him is great, but some of it is really quite long. Crime and Punishment though is not. The story is of a man who struggles with many ethical questions revolving around the right to kill another person for the greater good. It is filled with many ethical questions and dilemmas from different angles, for instance, the drunk who drinks because he knows he has let down his family. A thoroughly entertaining book. Also check out his ‘the idiot’ which is essentially my ideal. 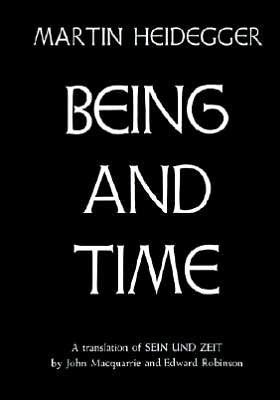 Being and Time – M. Heidegger. This is potentially the toughest, but also the most rewarding book on the list. Heidegger explores the question of what it means to be human, and in the process of doing so, outlines essentially everything in modern psychology. One of my favorite ideas of his is ‘the they’ which is essentially the inauthentic life, the one which does things because that is the way they are done, rather than because that is the way they want to do them. People just say it is tough because he essentially creates a new language to talk about these things. Principles of Gestalt Psychology – K. Koffka. This is just a great reference book and something to look back on. It is a general textbook that traces a small set of basic principles (e.g., the gestalt) from the most basic of psychological questions (how do we tell objects from the background?) to emotions, memory, and personality. This is a great book just to browse sometimes (make sure to read the first and last chapters for an overview! ), and you will Very often go to a conference and see a poster or talk that basically redoes the research that they did back in the early 1900s. It is a really great bit to just have around. General Systems Theory – L. von Bertalanffy. This is really a great one, that is not just about psychology, but about all of the systems in the universe, and what they have in common. Bertalanffy puts together a large number of consistencies across the entire range, from the single cell, to the human, to the society. It is a great read for those who see that psychological principles can be applied across many levels. The Death of Ivan Ilyich – L. Tolstoy. This is a bit similar to Heidegger in that it challenges the individual to live the authentic life. It is short and sweet and so awesome. It follows a ‘successful’ and well respected judge through the final days of his dying with something that might today be called lung cancer. He writhes in agony and looks back on his life as having done all the ‘right’ things, but not enjoying them and never really living for himself. If you want someone to realize their potential in life, just pass them this book. A theory of Cognitive Dissonance – L. Festinger. Leo Festinger put forward probably the most important theory in the most unimportant way possible. He articulates the essence of Heidegger in a way normal people can understand. We have a desire for cognitive consistency and when the world presents us with some information that contradicts this, we experience dissonance, which then motivates us to reduce this. He shows how it applies across a large number of situations. Civilization and its Discontents – S. Freud. this is another short one, where Freud essentially talks about the tension between the individual and the society. 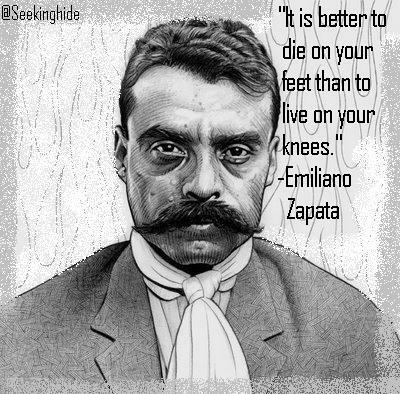 Tracing from the influence of the alpha male in the tribe to the governments and religions that decide our way of life, he suggests that as control becomes better in general, the person is less and less free to do as they choose. It is just packed and tight, which I really like. Collected writings of William James – W. James. This is another general textbook like reference from one of the most influential psychologists of his time. One of the first American Psychologists, his ideas and writings were the basis of what most psychology students would learn for much to come. He was among the first to suggest the stream of consciousness, and his writing style is second to none, having written something like an average of 20 pages per day over his entire life. He would later become a philosopher and then even a religious thinker toward the end of his career. So that’s ten, but honestly there are wayyyy too many to go on this list. Other great ones are, for instance, Games People Play by E. Byrne which is a great little book for anyone you know, only about 100 pages. Also the Tao Te Ching by Laozi is a really nice introduction to eastern philosophy and just how to get and exist on the path. Finally, The Naked Ape by D. Morris is a zoologist’s look at psychology and human behavior; there is so much interesting here, and you can read more about it here. One book that I was really surprised by how bad it was was Freud’s Interpretation of Dreams (it is in my library though). This sold like a million copies and was all the rage when it first came out, but I read about the first third of it (so about the first 200 pages) and did not feel that I had really learned anything at all. Until then it was mostly just anecdotal stories about people he knew, their dreams, and how they connected. Maybe I should have skipped toward the end, but there was a major lack of actual evidence (and thus science) or even just ideas here for me (like Civilizations). Recently at the LSE Impact blog several individuals have argued against metrics, at least journal level metrics. Jane Tinkler put it well when, in a recent post here, she said, ‘One of the most common concerns that colleagues discussed with us is that impact metrics focus on what is measurable at the expense of what is important.’ One ill-informed individual went so far as to say that any attempt to measure science is ill fated. Metrics are good (but can be bad). While it is true that ‘systems based on counting can be gamed,’ science has always been about taking the complexity of the world and making it measurable and predictable. Our evaluation of science should be no different. ‘What good science is?’, is a complex and many faceted problem, but is it any more complicated than the well-being or happiness of an individual? I would suggest not. It is true that metrics often miss some nuance, but the goal of the metric is to maximally explain the cases, on average, rather than as an individual. It is psychologically interesting that scientists are ready to apply metrics to everything in the world, except how good or bad their work is. More than ‘metrics’ simply being the way science works, their value and necessity is evidenced most clearly by their increasing usage and popularity. 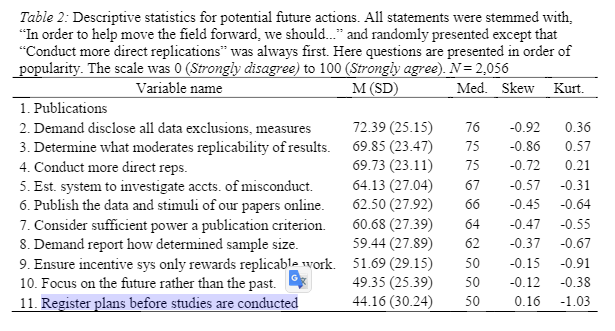 Who does good science is an important variable to predict within a number of contexts, and if we spent the time to read each of the articles a potential hiree has put out (even just top 5 or 1), there would be little time for anything else. Even while metrics are useful and necessary, they are still flawed. People are still people, and they will search for ways to increase their score on any widely accepted metric. This is why we clean up before we have someone over to our house and why students study for (and cheat on) exams. There may be fundamental problems with metrics, but they are more due to the humans who use them, rather than the metrics themselves. It is because metrics are so necessary and widely spread that bibliometrics is such an essential study (unlike those who suggest it is a fake study at the fringe of science). People make real decisions, about real people’s lives, utilizing these tools, and it is important to make sure that they are as excellent as possible. Rather than expecting people to stop utilizing metrics all together (which is unreasonable given the value they offer), we should focus on making sure the metrics are effective and accurate. Blind use of bibliometrics is as inadvisable as blind use of any other data source. Importantly, this does not mean the data are bad. The metrics we utilize to measure our own worth will never problem free, but we can work to make them as useful and problem free as possible; and this is exactly what we discussed at the recent workshop on Quantifying and Analyzing Scholarly Communication on the Web at Websci15. One of the large topics at this meeting, similar Whalen et al discussed the potential to better understand impact by looking at how ’topically distant’ the target article is being cited in. My response focused more on the potential utility of social media discussions between scientists, utilizing either their keywords, or the sentiment in their discussion to learn more about the target article. This desire for more metrics is similar to several calls at the LSE blog, which suggest looking across metrics to better understand the facets of research impact, rather than striving for any single definition or measure of quality. Such a goal is easily achievable by integrating APIs into one hub by which to collect and analyze data about scientists (help us build it! 😀 ). Such a data source would be helpful not only in understanding research impact, but also ‘more fundamental’ questions (e.g., what team or personal characteristics leads to optimal knowledge exchange?). Having many metrics and understanding the facets of research will allow users to form a fuller understanding of a particular researcher’s work. Such a system might also make it harder to cheat, as it becomes more difficult to manipulate all metrics (assuming they are measuring different things) than a single one alone. It is possible to build many metrics, but the best metrics will probably utilize the accumulated scientific knowledge into their development. The metrics we utilize now are mostly simple counts of things, but there is much to be gained by utilizing the keywords, review rating, and other data to their full advantage. Scientists are humans (even if we pretend not to be) and this implies a large number of predictable behavioral patterns and biases. Many fields (e.g., Psychology, Philosophy of Science, Sociology, Marketing, Computer Science, Communication) can be utilized fruitfully to better understand scientific communication and impact. Some instances of things science knows about include how biases: affect the types of experiments scientists run, how they conceptualize their experiments, who they cite, how they search for information, what happens when something unexpected happens, how the group responds to controversy, how we can conceptualize conflict in science, and many other questions. These hypotheses can probably even be tested and confirmed among scientists, if people saw that it would be worth the time and effort. More than just using science to make the most informative metrics, we can utilize it to try and understand the long term consequences of these particular metrics. 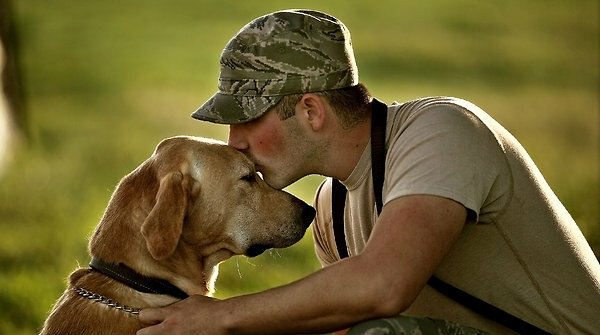 It is generally accepted within psychology that living things (scientists probably included) look to maximize their reward while minimizing their input. Keeping this in mind in a small way while developing and implementing novel metrics can go a long way toward avoiding later problems for the field. Ultimately, it is an empirical question how science works most efficiently, and I most definitely think we should use science to improve science, not just to build better metrics, but to build a better functioning science and society, generally speaking. Metrics are a necessary and valuable aspect of the scientific endeavor, and thus are good in general, even if they sometimes miss nuance or are harmful in small ways. The study of bibliometrics can also benefit from bringing in the understanding that the rest of science has built up about: humans, groups, systems, knowledge exchange, knowledge creation, and literally over one million other topics of study. Most generally, we should be using science to improve science, not just to build better metrics, but to build a better functioning science, generally speaking. It is the thing that holds us back the most: Other people’s opinions. If we know that everybody is terrible at something, and has done stupid or bad things in the past, then why do we worry about what people will think of us if we fail? Become free, become secure in yourself. You ARE a worthwhile person, and seriously, there is not a person in the room that you are not better than them at something, even if that thing is naming the characters of your favorite book. There is no ultimate value other than that you place on the things around you. Instead of letting other people tell you what is valuable (this job, this style of clothing, these dance moves) you make your own valuable. Who has a right to tell you that your dance moves are worse than someone else’s? They are lying if they say so. You chase YOUR dreams. you live YOUR life. you only get one and you’d best cash it in for all its worth (a LOT). When you stop living by the chains that others place on you, you can go up up up, and see more than you ever dreamed possible. The sleeping girl next to me made a noise. At first, I thought she’d heard me and I had woken her up. But she looked like she was still asleep. She made the noise again. This time, I managed to identify the sound: a sniffle. And then, she released a quiet whimper. I bent forward for a closer look, squinting to look through the darkness. I could just barely make out tears rolling down the side of her face. Elise was sobbing in her sleep.